B-Complex #12 is easy to swallow and no adverse side effects. B-Complex #12 is the best ever Vitamin B Complex. Doesnt upset my stomach. Was taking their Vit. B found B-Complex #12 by Thorne Research when reordering. 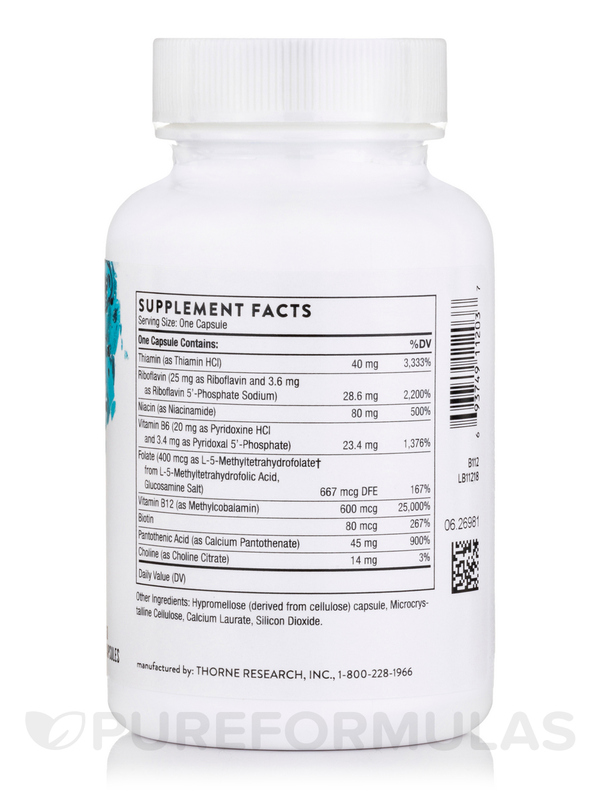 B Complex #12 supports energy production and healthy neurological function. Unlike many multi-B vitamins‚ it contains the active forms of eight water-soluble B vitamins. 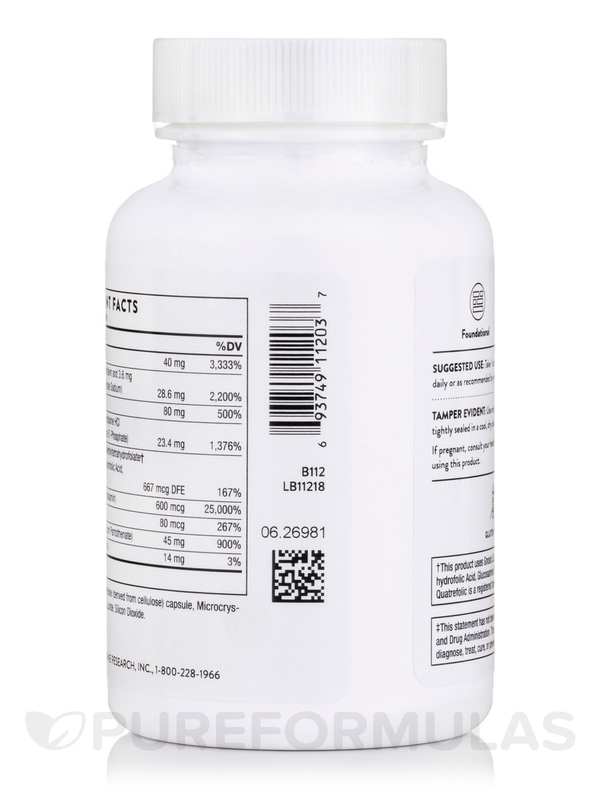 B-Complex #12 offers a complete vitamin B complex‚ with added vitamin B-12 and folate. Supplementing with the active forms of the B vitamins is extremely important to everyone‚ especially individuals who might not be able to convert non-active B vitamins to their active forms in the liver because of compromised liver function‚ poorly functioning enzymes‚ digestive disorders‚ or increasing age. Vitamin B12 and folate are necessary for normal red blood cell formation‚ tissue and cellular repair‚ normal methylation and homocysteine metabolism‚ and DNA synthesis. 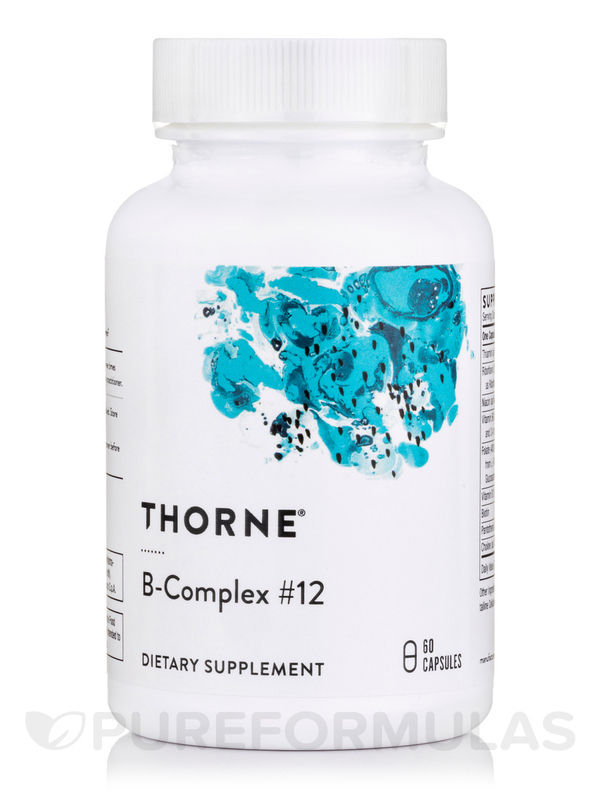 Thorne's B-Complex #12 supplies the two active forms of vitamin B12 – adenosylcobalamin and methylcobalamin – as well as the two active forms of folate – folinic acid and 5-MTHF. The other bioactive forms of the B vitamins in each capsule ensures you will get the most bioavailable vitamin B complex available. B-Complex #12 is not derived from yeast. Most of the B vitamins‚ with the exception of vitamin B12‚ are not stored in the body; consequently‚ they must be acquired daily from the diet in order to maintain optimal health. Vitamin B12 deficiency can be manifest with varying degrees of mental changes‚ such as confusion and irritability. Certain prescription medications (for seizures‚ diabetes‚ arthritis‚ and cancer) can cause a deficiency of these important vitamins. The incidence of vitamin B12 and/or folate deficiency is high among the elderly. Pregnant women require an increased amount of folate for proper fetal development. A woman who has a folate deficiency prior to pregnancy can expect that deficiency to be intensified during pregnancy. 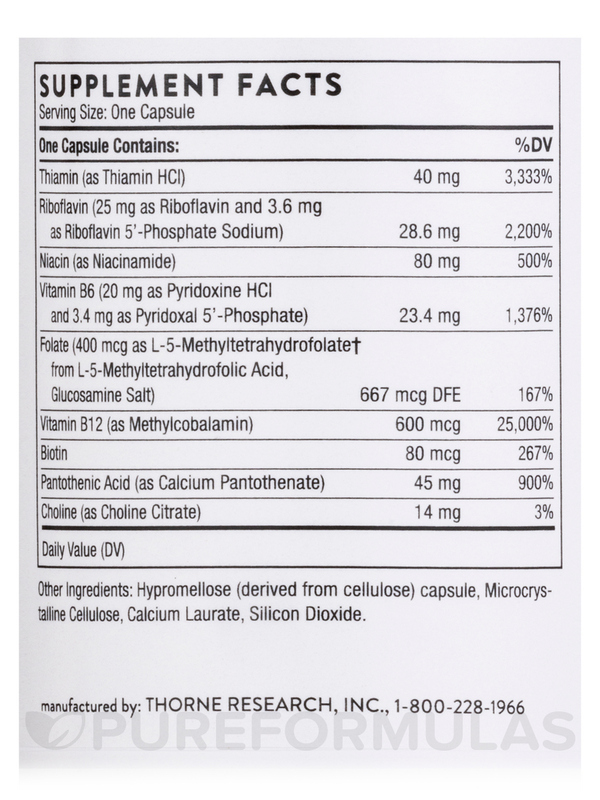 B Complex #12 includes eight water-soluble B vitamins: thiamin (vitamin B1); riboflavin/riboflavin 5'-phosphate (vitamin B2); niacinamide (vitamin B3); pantothenic acid (vitamin B5); pyridoxine/pyridoxal 5'-phosphate (vitamin B6); methyl- and adenosylcobalamin (vitamin B12); folinic acid and 5-MTHF (folate); and biotin; plus choline. Although each B vitamin is chemically distinct‚ they often work synergistically in various biochemical functions throughout the body – from cellular energy production‚ to healthy red blood cell formation‚ to healthy neurological function. A nutritional supplement that contains these active cofactors has enhanced bioavailability‚ ensuring the body gets the nutrients it needs. 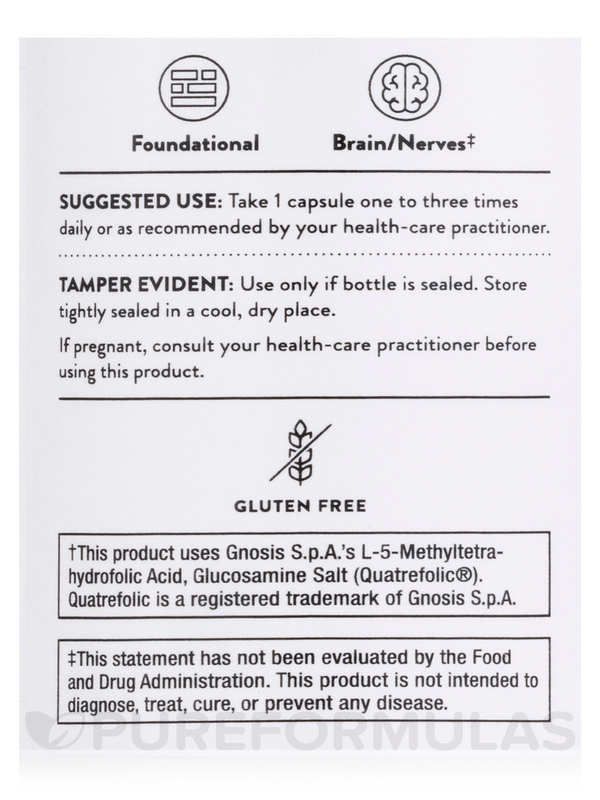 †This product uses Gnosis S.p.A.'s L-5-Methyltetra-hydrofolic Acid‚ Glucosamine Salt (Quatrefolic®). Quatrefolic is a registered trademark of Gnosis S.p.A. I switched to this B-Complex #12 by Thorne Research from another supplement (another brand) after identifying I have the MTHFR gene mutation. I was surprised at how much better I felt taking it. After about two months, I had to discontinue for 30 days to take a blood test (unrelated but it was in hopes to participate in a clinical trial so I had to comply with their wishes). It was a long brutal 30 days. After the 30 days were up, I started taking this product again and my symptoms went away again. There is no doubt in my mind that this product has helped me. I would highly recommend it to others. Great quality. Methylated so it's okay for folks with MTHFR Gene mutation. B Complex #12 by Thorne Research was recommended by my integrated medicine professional. Been taking it for about 6 months and positive results are well documented for both myself and my son. B Complex #12 by Thorne Research works well! Taking this gives me the energy I was lacking! Thorne products are great ! NO fillers, and most often no soy, which I cannot do. 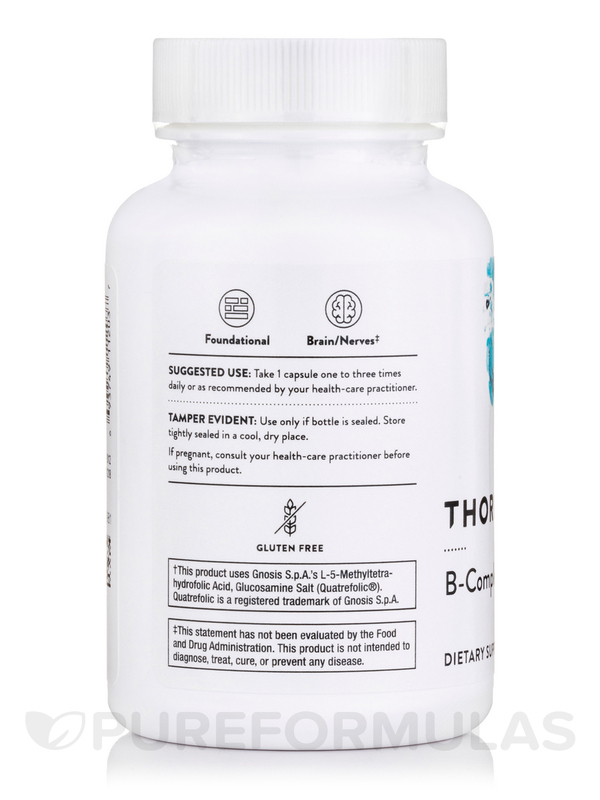 B Complex #12 by Thorne Research are great for adrenal help and stress - which is what my doctor has me taking them for. I alternate these with the B- Stress by Thorne - which has the same B's, but varying amounts. Are there such thing as perfect B? Thorne Research comes close to it. B-Complex #12 does what my sweetie needed when his doctor told him he needs some to add to his regiment. This is a good blend of the b vitamins. I immediately noticed an increase in energy and mood - actually I had to split the cap in 1/2 it was so powerful! Good product for those with low energy and low mood. Really helps the nervous system. I am taking B vitamins because I was deficient and homocysteine levels were high. I feel so much better and have been taking for 6 months now. I feel I absorb these vitamins better than others. And most important I do not get any kind of gluten reactions from these. Not eating meat took a toll on my body. My naturopath had me take this to restore healthy vitamin B levels. My blood work proved that it works. My endocrinologist highly recommended this specific product for me to try for extra energy. I have been on it for 6 months and have reordered. Capsule easy to swallow. Once a day dosing. Can take on an empty stomach with no upset. This is a great source for the B-Complex family of vitamins. I especially love the very small capsule-so easy to swallow.